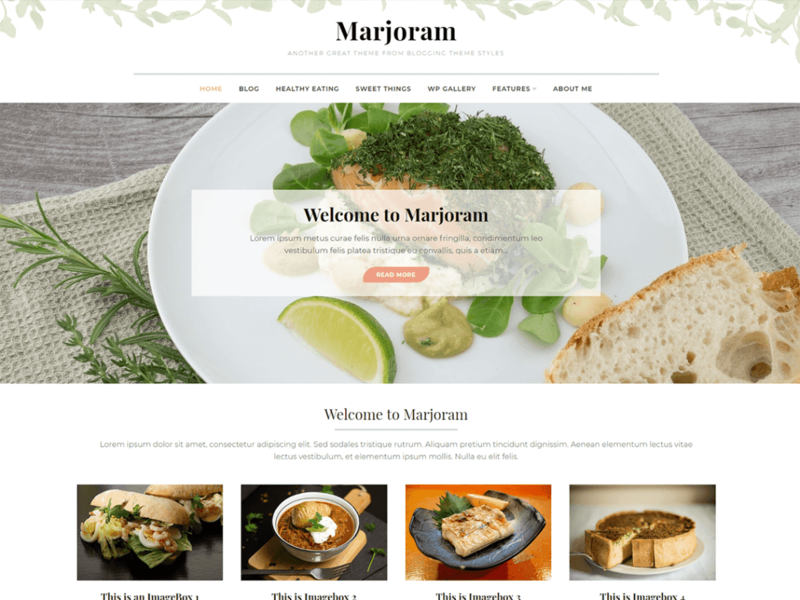 Marjoram is a clean modern blog theme, tailored for food based blogging, you can still use this for a wide-range of other types of concepts because it’s that flexibile. Showcase your content in an effortlessly timeless style that gives you unlimited colours to suit your personal preference. Boasting popular features such as a a custom Image Widget, thumbnail related posts widget, off-canvas menu, custom header, backgrounds, and an abundance of blog & layout options, Marjoram’s clean, contemporary design is guaranteed to wow and inspire your readers! Be sure to read more About Marjoram under the Appearance admin menu.